The important thing is not that I voted early or that I voted for candidates from the Democratic, Republican and Libertarian parties. The how of my voting really stood out. I voted early. When will you vote? On my day off, I had several things to accomplish. An elderly neighbor was stopping by first thing to pick up blank bills of sale I had printed for him. I needed to pick up from the gym the nutritious, no preservative meals I order. I also needed to find out how to tune up my diesel pickup, which is sluggish at startup, as if it just doesn’t want to go where I want it to go. I needed to go to an office near the airport to do some administrative paperwork. 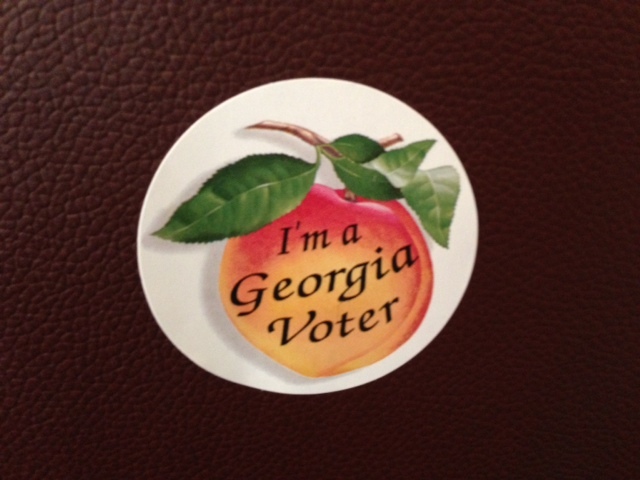 And, I needed to vote. When my neighbor arrived for the paperwork, he asked where I was heading on such a cold and windy day, understanding that I work from home. When I mentioned the voting part, he said he had considered doing the same thing but that when he went to a nearby recreation center to cast his ballot, the line was out the door. I decided that I would definitely vote early, as I had the time today to stand in line, but I know I won’t have another day to do so before Election Day. For a workday, the parking lot of the recreation center was almost packed. Downstairs, seniors did aerobics, the pool and basketball court were unused, but the auditorium was packed. I turned off my cellphones (work and personal), and the woman behind me asked how long was the wait. “Twenty minutes,” the greeter assured us. The number of people inside the auditorium seemed to belie the woman’s words. Sort of like when you’re at a popular restaurant and ask how long is the wait, and the host gives you a time frame that you should add about 15 more minutes to for accuracy. At a glance, about 100 voters were in the seats at any given time, and six or seven were standing. But, the flow was efficient. A woman ushered us into a row of seats, sort of like at a school assembly, so we didn’t have to stand while awaiting check-in. The wait time for check-in was about 15 minutes, which gave us time to review the sample ballots. Then, the same woman ushered us by row, sort of like the ushers do at church when you have to walk up to the front of the church to drop your offering in the collection plate, to one of a half-dozen or so check-in stations. I thanked the woman at the station for working so we could vote early and asked if she normally works at the county headquarters. No. She has her own cleaning business but took on the polling place job temporarily for a little extra money. I assumed incorrectly that all folks who work the polling stations are county employees. Anyway, within 20 minutes, I had checked in and had voted. Every vote counts – especially yours. Election Day is Nov. 6, but if you have to chance to vote at your leisure, why wait? Well, wait at least until Sandy passes, if you’re in its path. Note from blog.usa.gov: Check your state election website to find your polling location and hours, and for voter ID rules. Learn more about how to research the various candidates in federal, state and local elections.